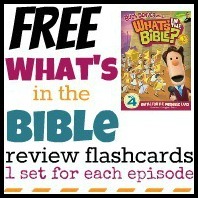 We’ve finished a set of review flashcards for What’s in the Bible? DVD 5. Click on the link below to download for free. 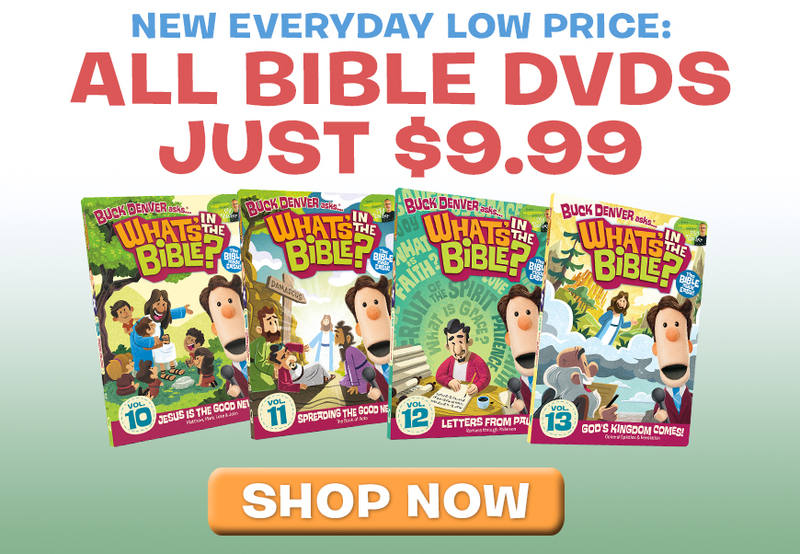 Also, check out all of our other free What’s in the Bible? resources. Today’s Questions: How do you help your children learn about (and from) the Bible? I’ve been using the What’s in the Bible? DVD’s in our Children’s Church. I have also been using your flashcards. I downloaded through DVD 7. I cannot find the rest on your blog. Did you do 8 and beyond? I would love to use them if you have. They are very helpful during our discussion time after viewing the dvd. Please let me know if there is a link where I can find the rest.